Grassroots Entrepreneurship and Technologies (GREAT) is the development program of Bayan Academy which carries out the institution’s social mission. It currently services the corporate social responsibility (CSR) needs of private organizations and corporate foundations. GREAT also engages with cooperatives, non-government organizations, international non-government organizations and the like, to deliver programs at the community level. GREAT is responsible for disseminating entrepreneurship and technopreneurship education to the grassroots. It also delivers livelihood programs to end beneficiaries in partnership with different organizations. Moreover, GREAT also engages in the training of out-of-school youth and the unemployed for possible employment or self-employment as micro entrepreneurs. Accenture launched its Skills to Succeed in May 2009. The purpose is to align the organization’s corporate citizenship activities around a central focus which is building skills that enable people to make a sustainable difference to their economic and to the to their families and communities around the world. The initiative intends to develop the right skills for the beneficiaries to build their confidence and capabilities that will open doors to employment or build an enterprise. It is a worldwide endeavor wherein its success lies in building and enhancing strategic partnerships and continuous volunteerism work. In the Philippines, Accenture decided to partner with different like-minded organizations such as Bayan Academy in order to fulfill the goalof the Skills to Succeed program. Bayan Academy will implement the Skills to Employment and Entrepreneurship (S2E). The pilot run of the S2E program will target Persons with Disabilities (PWD) and women entrepreneurs. The PWDs will be provided with Technopreneurship Program in Contact Center Services and Nail Care Services leading to Beauty Care NC II. The women entrepreneurs who belong to low income communities in urban areas in Metro Manila will be the beneficiaries of the GREAT Women Entrepreneurs (GWEn) training program. The micro-entrepreneur co-operators of Simbayanan ni Maria Multipurpose Cooperative with Ms. Susan Giolagon, Speaker of Financial Management Module session under the GEM Training Program. Through the support the Technical Education and Skills Development Authority (TESDA), Bayan Academy provides continuous training and upgrading of skills suited to the demands of the job market (local and international). The target beneficiaries of the program are out of school youth and unemployed adults. The above courses are delivered as school-based or mobile-based in the National Capital Region. Technical courses on Cookery NC II and Bread and Pastry NC II are also registered as mobile courses in Region IV-A, Region IV-B and Region VII. The Technopreneurship program combines two training programs into one. The first component consists of technical skills training that includes technical-vocational courses registered under TESDA. 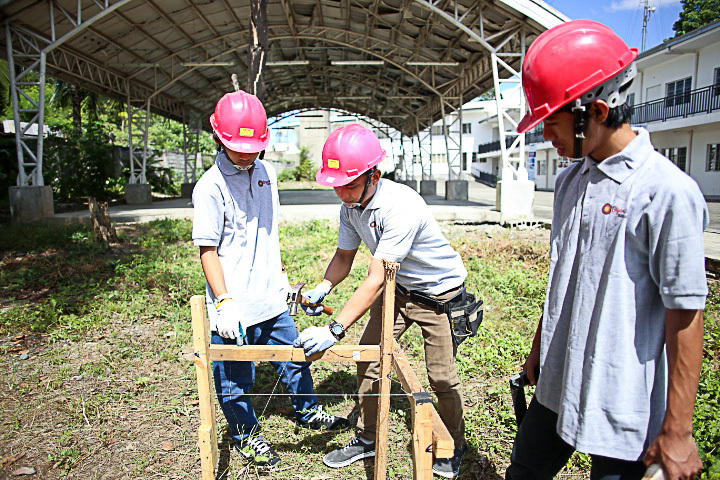 The modules follow the training standards prescribed in the Training Regulations of TESDA. The second component is entrepreneurship training. The modules of the entrepreneurship training are not generic. They are tailor fit to the technical skill being taught. The entrepreneurship training has eight integral modules. The beneficiaries of the Technopreneurship program are disadvantaged youth and adults who are trained and equipped with the necessary knowledge and skills that can help them obtain livelihood opportunities in form of employment, self-employment or entrepreneurship. The Community and Forest-based Social Enterprise Development Program (CFSED) seeks to promote environmental sustainability in the Forest Foundation Philippines focal areas of Palawan and Samar through the propagation of non-destructive forest-based enterprises. The goal is to tie economic progress together with the preservation of the natural ecosystem – by creating and supporting successful enterprises that uplift members out of subsistence or poverty, and are reliant on the survival of the environment, local communities will have greater incentives to maintain and protect their surroundings. The Adopt a Community Program is an intervention designed to train the members of the chosen community in valuable technical skills as well as management skills. The program seeks to train workers of enterprises, specifically hotels and resorts, which belong to the ecotourism industry. The program will be implemented in the municipality of Gubat located in the province of Sorsogon, Bicol Region. The hotels and resorts situated in the barangay of Buenavista and other nearby coastal barangays will be tapped as sending partners for the program. The participants of the program will include the workers and employees of the hotels and resorts in the identified areas. The participants will undergo three types of training: technical-vocational, abaca weaving and management functions. The technical vocational training includes Cookery (Certificate of Competency), Food and Beverage Services NC II and Events Management NC III. The training on management functions will cover Operations, Human Resources, Marketing and Finance. The technical-vocational training session is meant to refine or upgrade the skills of the participants in services they are currently rendering or offering to their guests and visitors. The training on abaca weaving intends to provide the hotels and resorts with an added source of revenue through the sale of abaca products. The training on management functions aims to provide mastery on the four key management functions among hotel or resort managers and supervisors. International Labor Organization tapped Bayan Academy to implement its courses on 2D Animation NC III and 3D Animation NC III under their Women in STEM #girlscandoIT scholarships in technology program. The program aims to provide technology trainings to women/girls who have interest and passion for technology. On July 6, 2018, Bayan Academy sealed a partnership with Norwegian Mission Alliance Philippines (NMAP) to implement its social enterprise development program for its community-based organizations (CBO’s) in Rizal. The program is composed of three phases, namely: the Community-Based Social Entrepreneurship and Management (CBSEM) Training Program; Community-based Social Enterprise Advising and Coaching Services (CBSEACS); and the Community-Based Social Enterprise Forum (2 days). 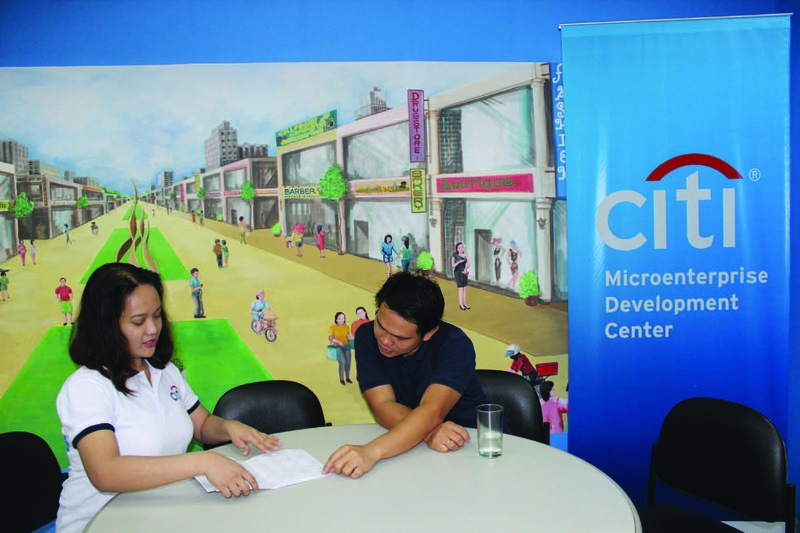 Funded by Citi Foundation, the Citi Microenterprise Development Center is a partnership between the Bayan Academy for Social Entrepreneurship and Human Resource Development, Inc. and Citi Philippines.The program is envisioned to promote entrepreneurship among high potential microfinance clients by providing them with the opportunity to receive quality training, customized coaching and business advisory. Established in 2011 after a successful pilot in 2010, CMDC aims to have its participants increase their income, employ additional people, improve on their loan performance, and exhibit diverse and productive loan uses for their business. CMDC has two main programs, the Grassroots Entrepreneurship and Management Courses and the Citi-Small Business Advisory and Coaching Services, that lead to the sustainable growth and development of Filipino microenterprise. -- Patricia Javier-Gutierez, Head of Communications, JPMorgan Chase & Co.
“As part of its citizenship strategy of promoting enterprise development across the country, Citi Philippines formed a partnership with Bayan Academy to establish the Citi Microenterprise Development Center (CMDC). Funded by Citi Foundation, CMDC is envisioned to be a training haven for low-income but high potential micro business owners. With relevant training, coaching and mentoring, these individuals have the ability to grow their enterprises to the next level. In scaling up, CMDC will not only assist the microentrepreneurs and their families, but also their communities with more jobs created as a result of enterprise growth. There are no upcoming event at this time!